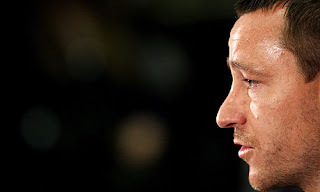 John Terry has warned Chelsea's domestic and European rivals he knows what went wrong at Stamford Bridge last season and how to stop it happening again. The Blues endured a rare trophyless campaign in 2010-11, with manager Carlo Ancelotti paying the price for their failure on all four fronts. Despite starting and ending the season strongly, Chelsea were unable to recover from a mid-term slump which saw them embark on their worst run in the Barclays Premier League for almost 15 years. Everyone appeared to have an opinion on the reasons behind the malaise, from injuries, to the loss of experienced players, to the sacking of assistant manager Ray Wilkins. So concerned were the squad about what Ancelotti repeatedly branded the 'bad moment' that they held talks to discuss it towards the end of last season. Although Terry refused to reveal the verdict they had arrived at, he insisted it was one which would prevent history repeating itself under new boss Andre Villas-Boas. "If ever that does arise again, we can snap out of that really quickly," said the England captain, speaking at the launch of the 20th Premier League season. "The sign of a true champion is to bounce back if we do suffer a defeat and get together and pull together. I think we realised where we went wrong. That stays private between us. You're going to lose games throughout the season - it's how you deal with it." Despite their slump, Chelsea went close to completing the greatest comeback in Premier League history last season. But Terry acknowledged they had ultimately surrendered their title to Manchester United. "We lost points against teams we maybe should have beaten," added the 30-year-old, "and seeing the trophy without the blue-and-white ribbons on, it hurts, it really does. I'm really optimistic about this year and I think if we play at our best consistently, which we didn't do last year, we stand a real chance."